Happy Christmas guys! Who's ready? Christmas tree up, presents bought and party outfit organised? Yeah me either! Haha. Well I'm here to help with inspiration with gifts anyway, as always, I'm also encouraging you to shop small and support independent and local business'! I've teamed up with 4 little shops on Etsy who have given me gorgeous items from their stores to give away to you guys. 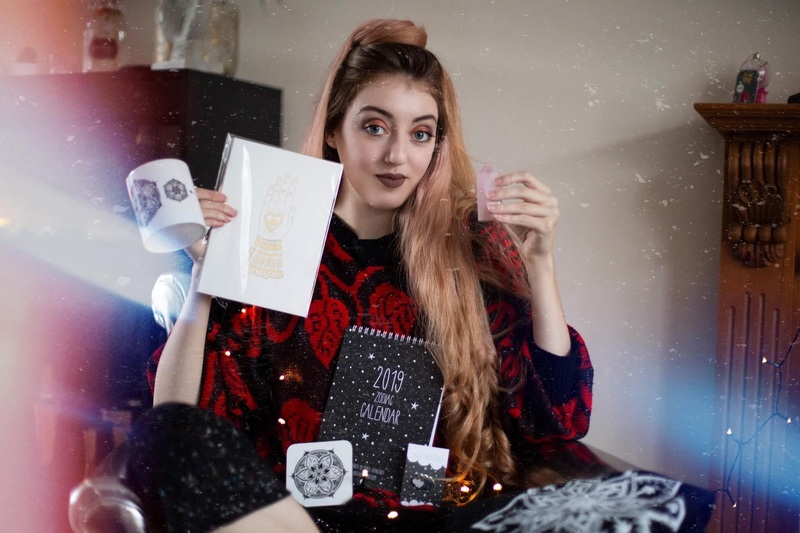 Back to the prizes, as well as all of the items that are pictured and linked below, I've also thrown in a £10 Etsy gift card that you can use to spend on anything on the site. All you have to do is follow my InstagramFacebook and YouTube and also follow the shops social media, too! Sharing the giveaway gets you extra points too, so make sure you share with your friends! So, follow these steps below, and good luck! Here's the prizes, with shop links too so you can check out their other items! The owner of this shop, Rose, designs all of these items herself. I love all of the Mandala pieces, they match my Mandala shoulder tattoo perfectly! From Raw Creations you can win one of her mugs, which she has three other designs of and you can also buy the whole set, perfect for someone who is moving into their first home! 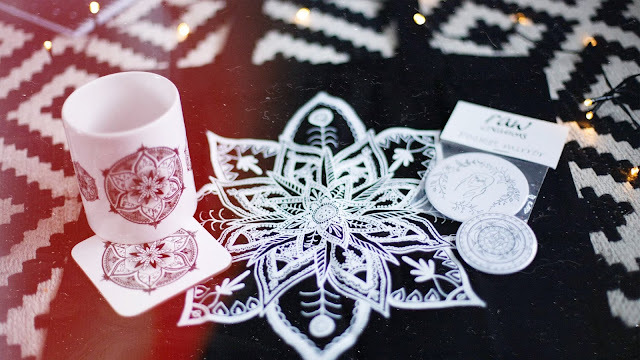 Also a matching cup coaster, a black and white printed tote bag, a pocket mirror and a magnet. 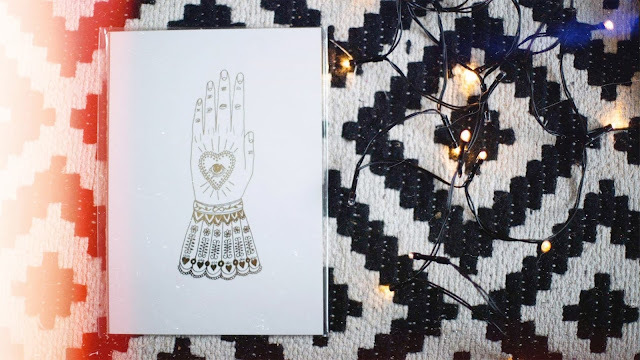 These are great to bundle together for a gift, or even a few things for stocking fillers! Next we have this amazing crystal shop on Etsy! Paul stocks all kinds of wonderful crystals, including these items you can win, like the rose quartz point tower which as a crystal, promotes love so it's the perfect gift for your partner or mum or anyone you love! Also we have these three amethyst balls, which you can use to fiddle with if you're feeling stressed. 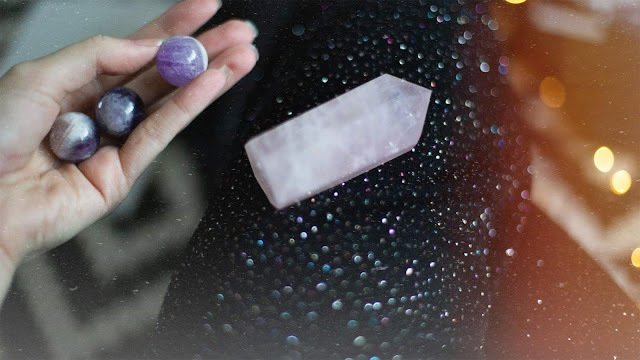 Amethysts properties are meant to really help with anxiety, so these would be lovely for someone with anxiety, they can fidget with these in their hand and they'll feel great. 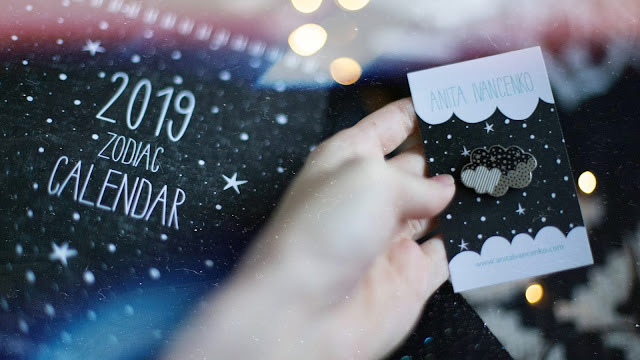 Last but not least, we have these two beautiful pieces - the amazing 2019 Zodiac Calendar, which is the best calendar I've seen, each month has it's star constellation on and the minimalism it's so cute. You can also have this adorable enamel pin badge in the shape of a cloud with stripes, spots and star design on it. I love enamel pins, I have them on my lanyard for work to jazz it up a bit! Anita designs all of these herself, which is the beauty of Etsy, each item has been lovingly created, which is why I always shop on Etsy! This shop also sells phone cases, bags, temporary tattoos and prints, so if you like this style of design go and check out the shop! 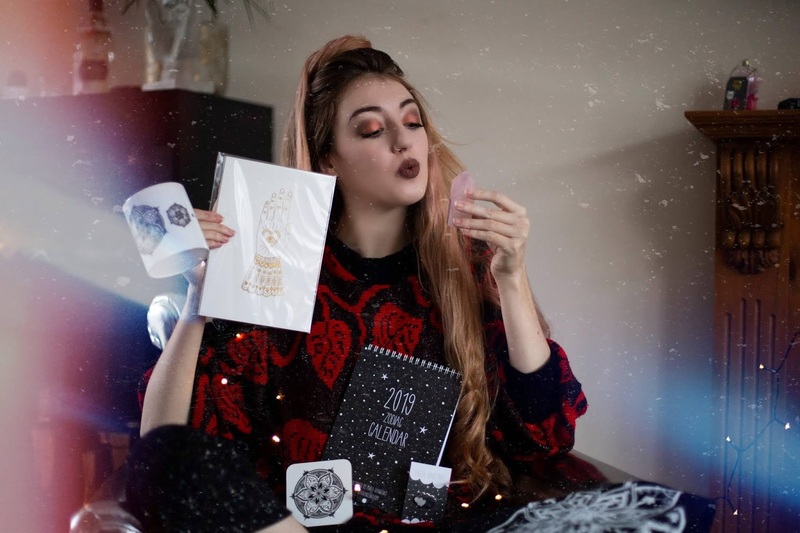 Good luck if you have entered, and happy shopping! Remember to shop small on websites like Etsy, and go and have a look around your local town in vintage shops, they're usually independently owned with other indie companies stocking in there, too! Check out my YouTube video as well, search StephLeaMead on there to see it!